The international break is over, The Reds are back in action. Mike Nevin previews our trip to Huddersfield Town. The international breaks are tiresome enough; a second already this season again breaking the season’s momentum with just eight league games played over three months since the middle of August. This time around though, injury concerns over some of Liverpool’s key men have littered the news in the lead up to Saturday’s visit to Huddersfield. Virgil Van Dijk, still nursing a niggling rib complaint, returned prematurely from Netherland’s duty despite scoring – along with Gini Wijnaldum – against Holland’s greatest rivals, Germany. However, Ronald Koeman appears to have entered a pact for his early release with Jurgen Klopp and the Reds’ defensive pillar should still play at the John Smiths Stadium. Mohammed Salah, still spluttering, and struggling to re-find his mojo after his record-breaking debut year, added to our worries with an apparent muscle strain curtailing his sojourn with Egypt. Thankfully, the Egyptian King has been declared fit and available to rediscover his golden boots on a ground where he scored from the spot last season in a routine 3-0 victory. All of Salah’s current uncertainty seems rooted in confidence issues evident in his hesitant, powder-puff shooting and the absent, underrated aggression that had defenders twice his size bouncing from his diminutive frame. Klopp will probably be forced to make at least one change up front, with Sadio Mane having undergone surgery on a broken thumb playing for Senegal. 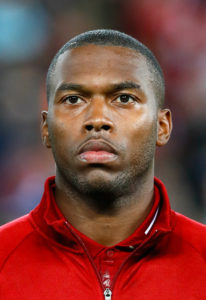 Daniel Sturridge seems a shoe-in for another start to make a case for more regular inclusion from the off. Sturridge, Salah and Roberto Firmino ought to be sufficient artillery to gun down a leaky Huddersfield rear-guard. David Wagner’s rag, tag and bobtail outfit still await their first victory of the campaign but, a year on from a famous home win over Manchester United, they live in hope. Liverpool’s hamstrung pair James Milner – injured against Manchester City – and Naby Keita, who hobbled off representing Guinea, present the manager with a midfield conundrum but give Klopp the opportunity to address a lack of creativity through the middle which has begun to impact on recent performances. While the boss might be tempted to give Fabinho a first Premier League start, a braver choice would be to select Xherdan Shaqiri as an auxiliary attacker and dispense with some insurance in what, of late, has looked an overly conservative, laboured midfield. Perhaps the most intriguing selection poser facing Klopp is whether to retain Dejan Lovren, a candidate for man-of-the-match last time against City, at centre-half or to reintroduce Trent Alexander-Arnold. The young full-back should get the nod; The Terriers are unlikely to carry a consistent attacking threat and Trent is also an important supply line in getting forward and offering width on the right flank, especially in the probable absence of Mane. Despite Klopp’s natural respect and caution, in the Premier League climate, with no room for error at the top, this is another must-win fixture for Liverpool. Huddersfield, despite being three-times consecutive English Champions in the bygone era of the 1920s, are one of the whipping boys of the division. Three points are a must to consolidate the draws accrued that preserved the status quo with title rivals City and Chelsea. The last Huddersfield manager to beat Liverpool was a certain Bill Shankly in November 1959 before resigning his position and showing up at Anfield. Klopp will be intent on denying his counterpart and friend the chance to rewrite that particular piece of quaint football history.